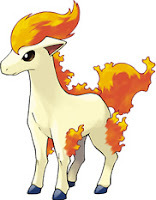 Fire horse lives in an abandoned factory, like normal horses. This is a passive attack if someone touches the opponent, they might get burned. Take a few levels if you like, this has a really good chance of setting anyone on fire that touches you. To capture the stunning effect. Combine the effects of Flame Body with a slam attack, and then add this as a linked effect to the slam. A strong fire attack with a low accuracy. The "caster" douses the target in intense and wild flames. This attack has 0 accuracy, and may not be aimed, but has incendiary level 3, so treat all objects as if their flammability level is 3 levels lower than normal. Notes: Each level adds an additional die of damage. Efficiency wise, multiples of 4 levels are preferred, but keeping in line with other abilities, level 5 seems like an appropriate maximum. This is a really high jump that ends in landing on the opponent. I think Flying Jump-Kick from Martial Arts might be an appropriate already existing move to replace this. Hooray, another easy post because of a huge overlap. Flame Charge is a bit expensive, but cumulative effects are always expensive.